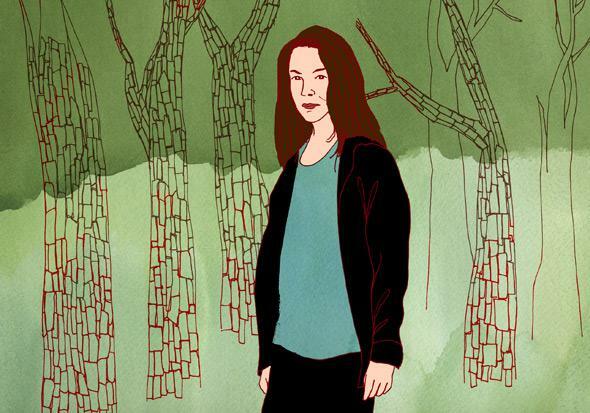 Lorrie Moore’s Bark, reviewed: It’s very grim. It’s also great. Lorrie Moore’s stories are a lot darker than they used to be. But they’re still great. I’ve been telling that story for years as a so-absurd-it-must-be-true sign of the East Coast’s ignorance of the center of the country. So imagine my surprise this week to discover that in fact I had stolen that anecdote almost word-for-word from a Lorrie Moore short story called “Agnes of Iowa.” Not on purpose! I really thought that the story had been told to me by an old friend. 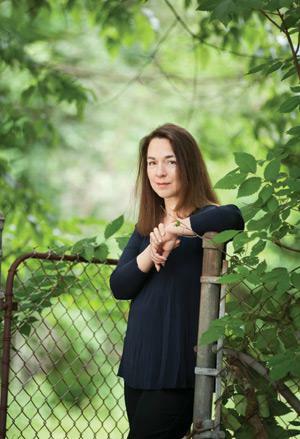 And in a way, it was: Like most people I know who love Lorrie Moore stories, I view Moore herself, though we’ve never met, as a wise, funny friend who’s much smarter about human nature than I’ll ever be. She’s still smarter than me. But with Bark, her new collection, she’s a different, more difficult friend. For starters, she hasn’t got the time or energy for me that she used to: This slim volume of eight stories is Moore’s first collection in 16 years (though there was a novel, A Gate at the Stairs, in 2009). And while I was pining away for the Lorrie Moore of Birds of America, she was busy turning herself into someone else entirely. Moore’s tart, punny voice is identifiable from story to story, but her subjects and her style have evolved substantially over the nearly 30 years since her first collection, Self-Help (made up mostly of stories she wrote in the MFA program at Cornell). The reader-friendly forms and transparent structure of her earlier stories has given way to denser, more adventurous storytelling. Where once her stories were light breezes—albeit ones that would occasionally blow up into gales—now they are complex weather systems: swirling, variable, dangerous, and difficult to anticipate more than 36 hours in advance. Consider “Paper Losses,” the most brutal of the stories in Bark. If Moore had written this story in her 20s or 30s, the married couple heading for divorce, Kit and Rafe, might have presented their takes in competing narration or through a second-person instructional. We might have seen the characters share affection even as the marriage fell apart, and we might have felt, along with the characters, a kind of gentle sadness for the inevitable failure of these two humans to build a life together that could last. The story, no matter how dark, would have been threaded with bright spots: jokes, comic riffs, and, above all, memories of the deep affection Kit and Rafe shared. It had been a year since Rafe had kissed her. She sort of cared and she sort of didn’t. A woman had to choose her own particular unhappiness carefully. That was the only happiness in life: to choose the best unhappiness. Unlike in previous Moore stories, these jokes neither set the story aloft nor leaven the story’s sadness. These are grim jokes, dark as the grave, reflexive shrugs from a character who no longer sees the point. “People will do anything, anything, for a really nice laugh,” Moore wrote in one of her first stories. In Bark, people who’ve done anything, anything, now face the results. Kit sank down in a large chair next to Rafe. He was tanning himself, she could see, for someone else’s lust. “I think I need a drink,” she said. The kids were swimming. Had she even asked? Did she now call him the bitterest name she could think of? Did she stand and turn and slap him across the face in front of several passersby? Who told you that? Years ago, Moore told the Paris Review that she has a “writer friend” who leans over sleeping babies and intones, “May you never be reviewed by Michiko Kakutani.” Moore’s latest was reviewed by Michiko Kakutani, and the review is deeply irritating. Kakutani declares the book “disappointing” in her first sentence, then avoids reflecting at all on what it means to be disappointed by a book. And disappointment with a book is not an uncomplicated feeling! It’s one that works at multiple layers: the layer at which you loved an author’s previous work, so much so that when you laid hands on the new book you felt a little thrill that this treasure has appeared in your life. The layer at which you struggle to find in the book the things you loved before. The layer of disillusion, as you realize that something is missing: But is it missing in the book, or is it missing in you? The layer at which the flaws in this new book retroactively make you dislike previous books by the same writer. The layer of disappointment in yourself, for being so foolish as to desire a transcendent experience—for being so foolish as once to have felt that, before you became old. And finally the layer where you tell your friends, I didn’t like this one. I sense that Kakutani was moved by previous books of Moore’s; she calls Who Will Run the Frog Hospital? “wonderful,” though, as always, she studiously avoids the personal. (“Many Moore fans,” she suggests, won’t like this one.) And when I read Bark, my initial response was similar to what I infer Kakutani’s to be: These stories failed me, at first, or I failed them, perhaps. For days I struggled with the book, dipping back in, rereading stories and talking about them with people I know who had read the book as well. Where was my disappointment coming from? What did I want out of a book, and a writer? What does a reader do when she realizes a favorite author has changed? Jesus Christ! My skin is crawling just rereading that. “Aggh,” I wrote in the margin. Reading Moore can inspire a lot of involuntary marginalia, a phenomenon Moore glancingly notes in the story “Wings,” in which a character finds her mom’s marked-up old copy of The House of Mirth: “The word whoa appeared on every other page.” “Wings” is a kind of heart to the book, and like her last collection’s heart, “People Like That Are the Only People Here,” it’s a fierce little masterpiece. But the difference between them is illustrative of the knotty turns that Moore’s writing has taken. “People Like That,” the instantly iconic story—based, if The New Yorker’s use of a huge photo of Moore to accompany it is to be trusted, to some degree on truth—of a Midwestern writer and her baby’s battle with cancer, was morally complex but dramatically straightforward. There was the Baby, and the Mother, and the Father, and what we wanted was what they all wanted: for the Baby to survive. She loved Dench. She was helpless before the whole emotional project of him. But it didn’t preclude hating him and everything around him, which included herself, the sound of her own voice—and the sound of his, which was worse. Lorrie Moore and I used to be friends. Now I don’t think she likes me at all. But her stories, her stories, are perfect. Bark by Lorrie Moore. Knopf.